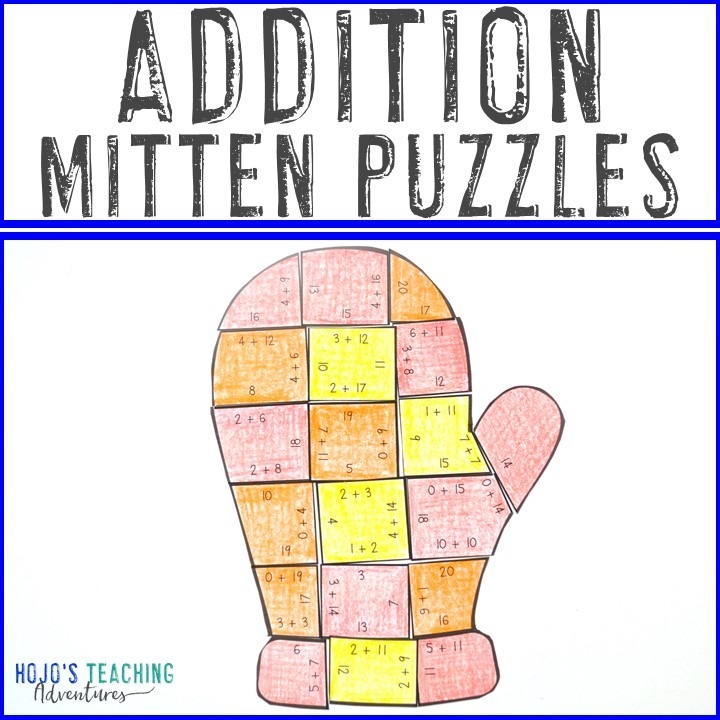 These mitten puzzles are going to be loved by your 1st, 2nd, or 3rd grade kids. 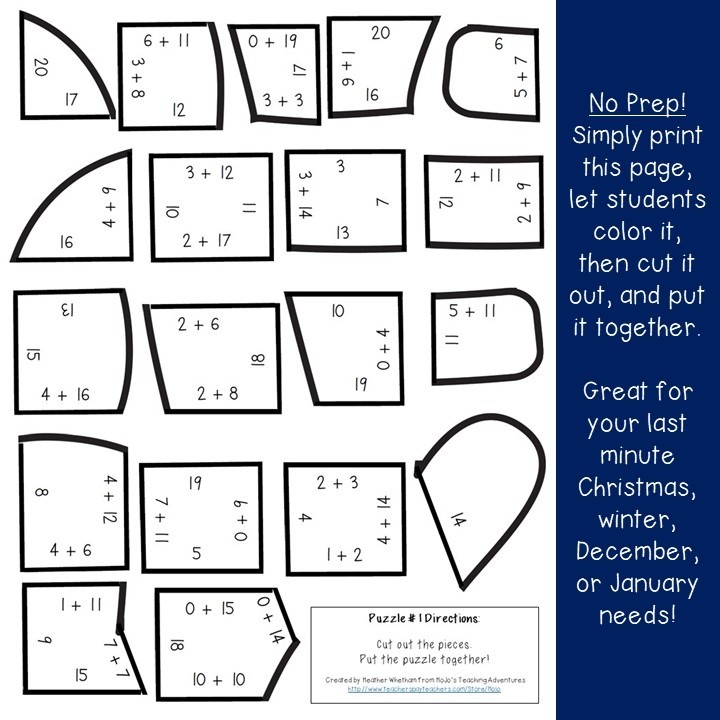 Use them anytime during the winter months as addition facts 0-20 math review. 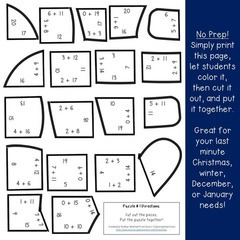 The puzzles are a PDF download. You will NOT be able to edit or modify the mittens. The download itself is a zip file. 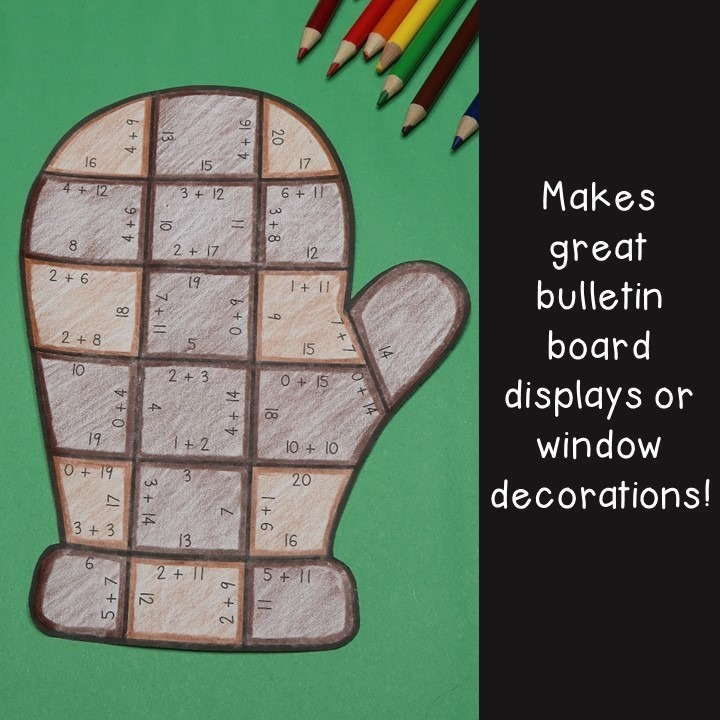 These work great with your first, second, or third graders in the classroom or homeschool. 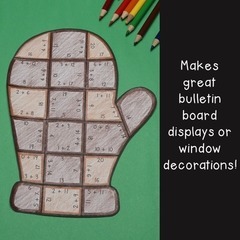 They also work in the special education classroom where a focus of perseverance is needed.